In Soviet Russia, road drives you! Something tells me that this pic is a fake. I mean, how would this happen? 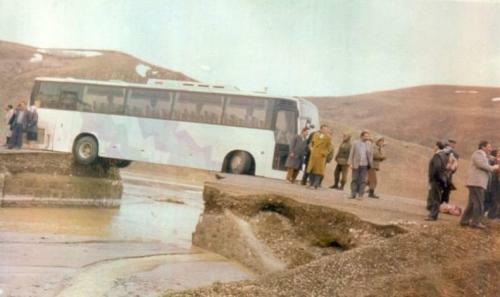 This bus would have been FLYING to make it across this crossing if the bridge was gone. Maybe the bridge collapsed at just the exact moment where the wheels were where they are in this pic! I just think this is a fake.